There are nearly 150 children in DCF foster care this holiday season, between Rutland, Middlebury, and Bennington. Many are without basic necessities moving into their foster homes. 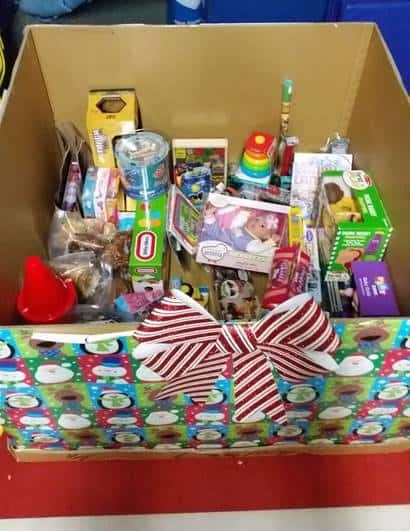 Head Over Heels Gymnastics and Tatum’s Totes, along with Liz Grimes, are organizing a last minute toy and gift drive to help children have a little happier Christmas morning. Bring unwrapped gifts to Head Over Heels to help these children out. Gifts for ages 18 months to 18 years are greatly appreciated. They are hoping to fill the box. Monetary donations are welcome, as well. Gifts will be accepted until Sunday, Dec. 18. On Sunday, Dec. 18, they will be holding a sorting and wrapping party to get the gifts ready to deliver. Head Over Heels Gymnastics is located at 152 North Main Street, Rutland. For more info, call 802-773-1404. The box of gifts being collected by Head Over Heels is about one third filled. Help fill it to the top!